Success will be defined more by what you choose NOT to do, rather than what you choose TO DO. 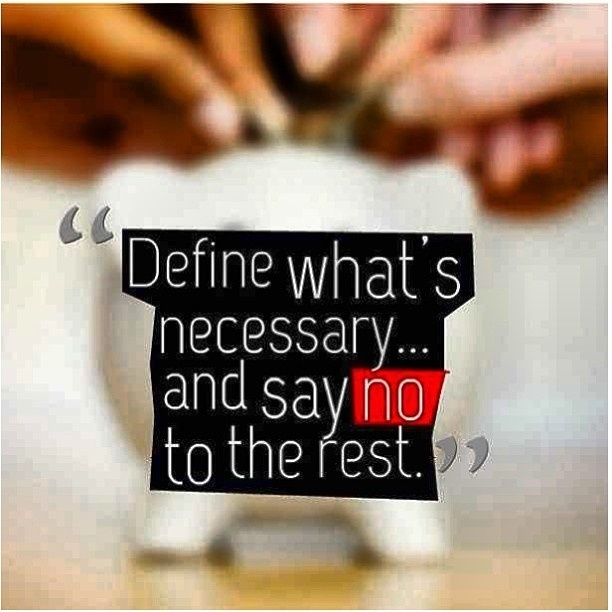 Saying “no” can be almost impossible. Have you found yourself feeling overwhelmed and stressed because of having too much going on? Did you think back and wonder if maybe you should have said “no”? Have you said “yes” and then felt resentful towards the person? It’s time to recognize that we need to build healthy boundaries. Why do we say ‘yes’ to letting others use our time or belongings before we know what we’re agreeing to? Below are some reasons why we say yes before we think. 1) As youngsters we’re often taught that we’re not supposed to say “no” to our parents, supervisors, teachers or people in areas of authority. As we get older we sometimes extend this to a feeling of over-obligating ourselves to others. Remember: When we say “yes” when we want to say “no”, we are creating the bedlam in our lives. 2) We’re taught that it’s polite to say yes, and rude or selfish to say no. 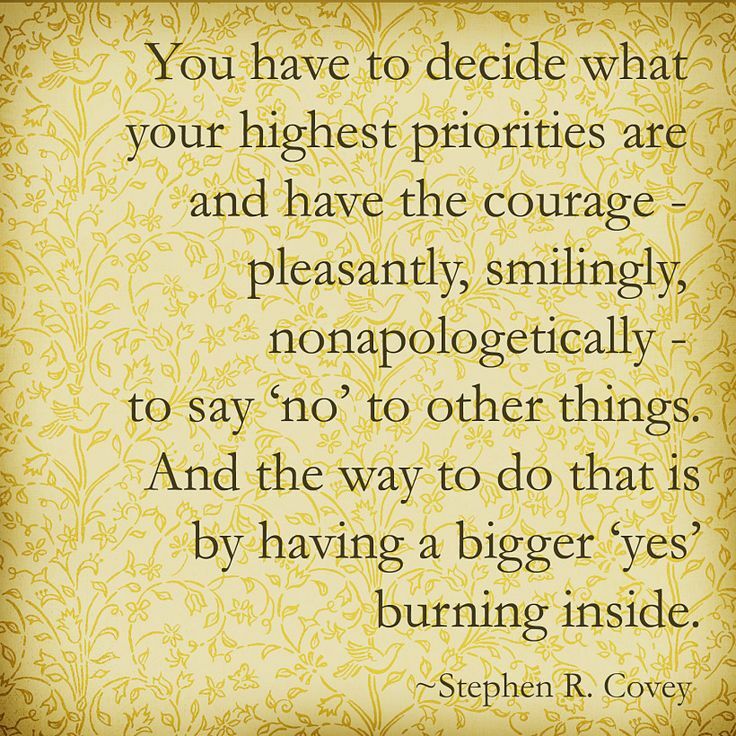 Remember: A “no” is often necessary to protect ourselves and our families from unhealthy expectations and into a healthier home life together. 3) We’re just trying to be accommodating, we may not mean our “yes” or ever expect to be contacted about it. Remember: When it’s time for the “chips to be cashed in” we may not really be available. We need to create the boundaries before we commit. 4) It’s easier to say “yes” because sometimes we don’t feel we have time to explain our “no”. Or we don’t think we have a good enough reason to say “no” and feel guilty. Remember: We may say “yes” to avoid the conflict, but if we’re not careful this could damage a relationship more than a simple “no” could have ever done. 5) We prefer to be non-committal or vague thinking it will get us “off the hook”. Remember: When we avoid answering with “no” by saying nothing, it leaves the door open to being re-asked. Next thing you know you’re playing hide and seek in Wal-Mart because you’re trying to avoid the “Asker” – repeatedly. “I’m sorry, I don’t have time and I’m sure you wouldn’t want me to commit and then be unable to fulfill my obligation”. Thank you for thinking of me, but I’m already so busy with family and work that I can’t possibly fit one more thing in. If an individual continues to ask, just use the same “no phrase” with a smile each time and eventually they will “hear” you and get the message. It’s important to hold your ground for your own health and the health of those who live with you.